Starting April 1st all out of state resellers, including big box stores in New York, are required to collect sales tax for California orders. What does that mean for you? Items you order from out of state will be more expensive! What can we do for you? 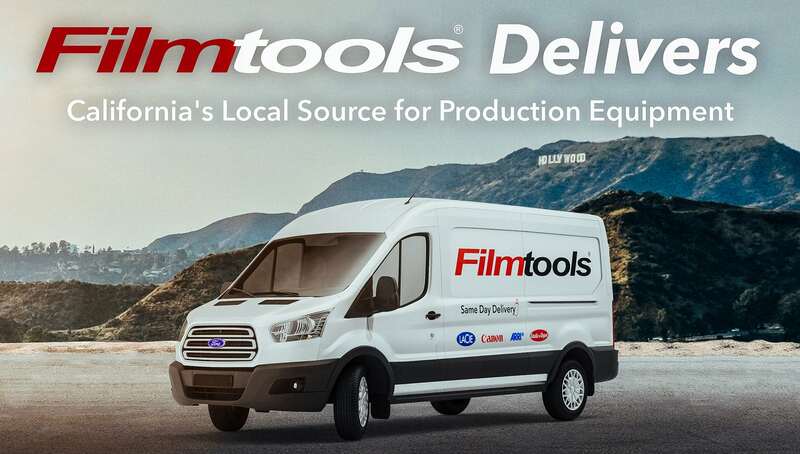 Filmtools will be your local source for production equipment. As Hollywood's trusted one stop shop for all things production, we pride ourselves on offering you the latest and greatest items as well as all the product knowledge you need. Since 1995, our goal has been to deliver on our mission to be the resource you need when faced with any type of production related challenges. In store, our sales associates can answer any question while online our webchat techs will be your resource for product knowledge. With the ability to deliver around the world, any item is days away. Unlike out of state resellers who charge you more for items that get to you days after you need them, we offer Californians same day or next day shipping at no extra cost. We, like you, expect this type of service as we are not just traders of goods. We expect this service because we too are filmmakers who know the stresses and demands of production. When you need us most we will be there for you. We are an organization by filmmakers for filmmakers and we want you to know you have our support when you need us most.